We stock almost any tool or item you need for doing basic to moderate service or maintenance on Honda Yamaha Kawasaki and Suzuki motorcycles. 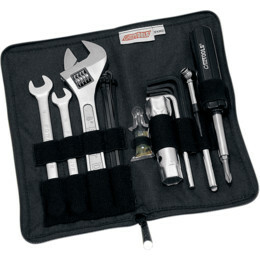 This includes carburetor syncronizers, wrenches, tire tools, pliers, bike stands, and much more. Choose a link below to start looking. Works excellent for removing stubborn Phillips head screws. An absolute must for the early bike mechanic. Comes with 4 different bits and works with 3/8" drive sockets too. Made for various Honda models like CB750, GL1000's and many others. Uses 3/8 inch ratchet extension. 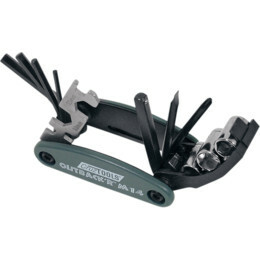 This is a nice terminal kit with crimper that is designed specifically for the Japanese motorcycle. 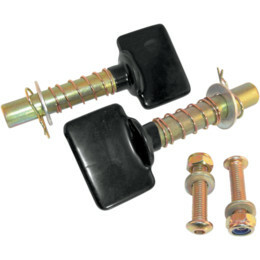 Kit comes with a nice selection of the various OEM type connectors and plugs found in out electrical terminal section of our catalog. The real beauty of this kit is the excellent set of crimpers you can use to correctly crimp the terminals to wire. Most crimpers do not come properly equipped to do the job like these. 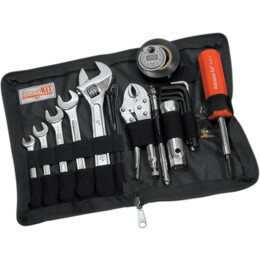 Every motorcycle mechanic from novis to expert should have this kit. 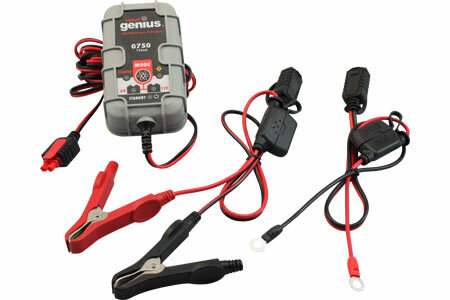 The G750 is a smart, 5 Step, fully automatic switch-mode battery charger and maintainer. 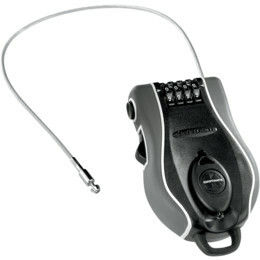 In addition to charging, the G750 can effectively maintain any 6V or 12V batteries. Reverse polarity, short circuit, open circuit, spark proof, overheat, overcurrent and overcharge. 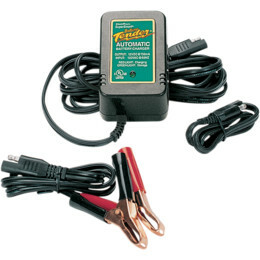 High-frequency, high-efficiency for a lightweight, compact charger. Charges batteries 2X faster than traditional linear battery chargers. The VosFX Processor is a revolutionary smart processor utilizing sophisticated levels of intelligence to alter the charge process. 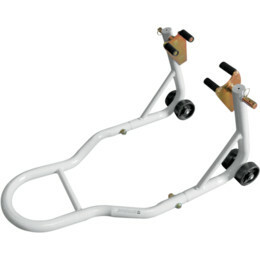 This versatile stand is easily adjustable to accommodate the wide range of engine types in service today. Height and width are both adjustable on the MC25, another major feature is the ability to rotate an engine a full 360 degrees. Pan removal, transmissions, starters, and clutches are just a few of the services that will be made easier with the MC25. Has all parts needed to synk your carbs. Metal support back, calibration adjustable gauges. Comes with dampeners, hoses, 5mm threaded mounting tubes, and instructions. 10 Gauge Small Jumper cables (appr 6' long) made just for bikes. Not intended for bike to car, ONLY bike to bike. 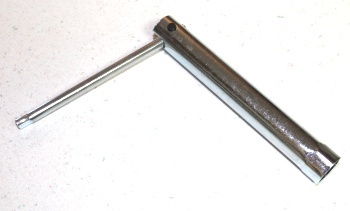 This tool has many different sized spikes with ribs to clean out jets and holes in your carbs. 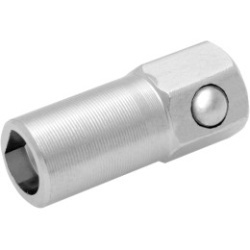 This is a VERY handy tool for carbs that have pressed in jets or very small jet holes. 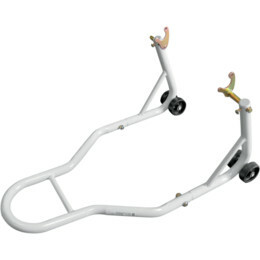 A pair of these make tire installation a snap! All steel construction, powder coated white. Comes with universal spool type holders. Optional non spool holders available separately below.